Pipetting all 96 wells at once simplifies micro-volume applications like ELISA, cellular assays, qPCR and protein crystallization. 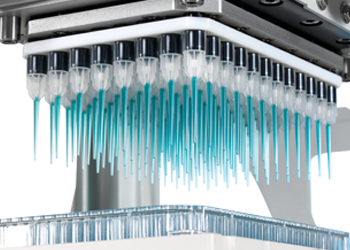 With greater accuracy and precision, METTLER TOLEDO's Rainin Liquidator™ 96 streamlines any 96-well or 384-well plate application. It is compact, requires no electricity and comes in two volume ranges – 0.5 to 20 μL and 5 to 200 μL. And because it is a manual device, Liquidator 96 is easy to use and requires virtually no training. Rainin's 20 µL and 200 µL Liquidators are fast, accurate and easy to use. 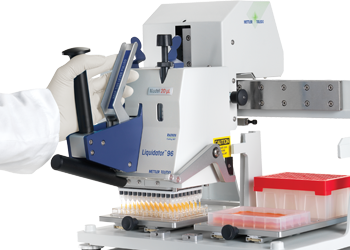 By understanding how researchers work and how high-throughput pipetting fits into a lab's overall workflow, Rainin engineered the Liquidator to deliver superb accuracy and precision with exceptionally good ergonomics, requiring virtually no training. Setting up assays in 96-well plates using single- and multi-channel pipettes is often tedious and time consuming. Liquidator processes 96-well plates in as few as 6 seconds each, without sacrificing data quality and giving you more time for more important tasks, such as data analysis and hypothesis-building. Single and multi-channel pipettes greatly increase the risk of skipping or repeating rows and wells on qPCR, ELISA and other plate-based experiments. 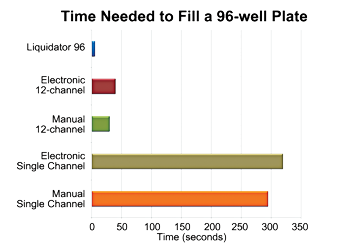 Liquidator 96 eliminates this risk by filling all 96 wells at the same time. With a range of 0.5 – 20 μL, Liquidator's low volume 20 µL model expands your range of 96-well protocols. Built to last, simple to use and exceptionally ergonomic, Liquidator 20 µL and 200 µL offer the highest accuracy and precision specifications possible. Because Liquidator 20 µL and 200 µL are manual devices that require little training, they are immediately useful and useable to everyone in the lab. 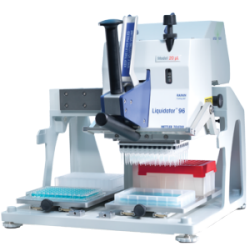 The 200 µL model is ideal for experiments like ELISA with volumes in the range from 5 – 200 μL. 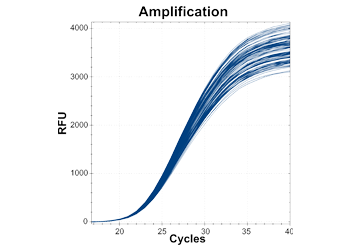 With volumes as small as 0.5 μL, the 20 μL model streamlines applications like qPCR. 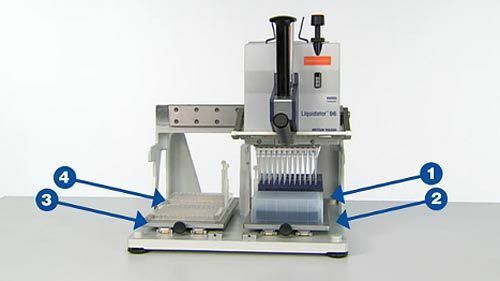 This manual provides a complete overview of the operating instructions for the Liquidator 96 Benchtop Pipetting System.